Peabody Properties, Inc. | Peabody Properties Receives 3 Top Honors For Housing Excellence! Peabody Properties Receives 3 Top Honors For Housing Excellence! 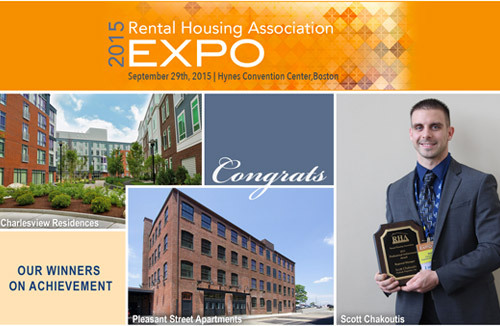 The Rental Housing Association (RHA) 15th Annual Multifamily Conference and Expo was held on September 29, 2015 at The Hynes Convention Center in Boston. Peabody Properties received 3 awards for excellence!